As the world around us continues to evolve, so does technology. You may not notice it at first, but we are surrounded technology. From the cars we drive, our buildings, our workplaces. It has become an integral part of our humanity. This is true for a college student too. It is not right for one to go into the job market, without having some skills on the type of career they are coming into. We know that every prospective job has some special type of tech required. It would not be possible to say all an engineering or sociology student requires. However, there are some basic gadgets, which the modern student requires. That is what we are going to cover in this list. In the modern world, it is untenable to achieve many things without the helping hand of technology. 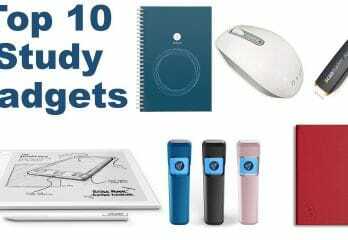 The gadgets in this list keep you abreast with other students that perform better. This tech in here improves your performance. If not, at least it will make your life easier in college. First on our list is a laptop. We understand that this is a common device nowadays. You may have it with you right now going through this article. 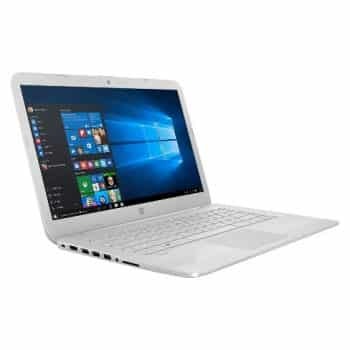 However, ensure you get the laptop that is best suited for your needs. If your laptop is good enough, then this is a major milestone for your schooling. For those that do not have a laptop, it is important to look at the specifications, commonly referred to as ‘specs’. This entails looking at some things like the storage capacity, its memory, or processor speed. Then look at what suits your needs. For example, some courses require you to run programs that require a powerful processor. This means with a smaller processor, your work might take ages to complete, or the software used will not be compatible with the specs. Ordinarily, better specs mean a more expensive computer. Gauge to see that you choose one that fits your requirements. It would not hurt to buy an expensive laptop if you have the money. Yet, it is a ghastly sight, to see people with computers of high specs they will never need. Notice we did not mention a computer. This can cover the desktops too. With a desktop yes, you may add some more specs here and there. For us though, the portability trumps all that. Besides, the price is not too far off. If you are not reading this article on a computer, then you are doing so from a smartphone. There are obviously so many smartphones around nowadays. Also just like computers, specs too are important. Furthermore, the smartphone market has opened up so much in recent years. All types of apps you can think of are available. From games, productivity apps, to social apps, they are all available. Thus, it is essential to get into the furrow and not be left behind. There is no practicality in not acquiring one for yourself, to keep connected to your college buddies. With smartphones, you will not only have a platform to talk to your friends, but you can also share your eBooks, and read them. Some may say that smartphones are a distraction from learning. However, if you apply your time wisely you can get the most out of your apps. You can get documents necessary for your schooling needs on the go. For example, you can ask your friend to send to you the last assignment to your phone via the popular Whatsapp. So you see, it is not only fun, it is productive if you put the right ethics to it. For the modern student, keeping fit has been an afterthought. With the constant pace of juggling books, a student often forgets their bodies have to be in shape. For students, they are bombarded with tons of data to process through their college days. Quite often, they process all this information seated on a desk. There is nothing wrong to that, however, they should take care of their bodies. A steady posture, for example, takes a toll on your body mind you. For this reason, it is important to take care of your body before and/or after classes. There are many ways to keep in shape for the student. The sad part is remembering to stay fit is a problem. That is why we choose a smartwatch to keep you alert. 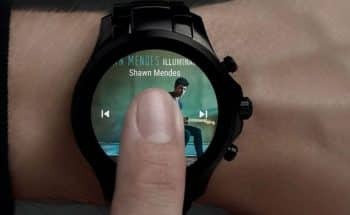 Moreover, not just any smartwatch will do. Look for ones like a Fit Bit or a Samsung Gear watch. These types of smartwatches keep tabs on your activities. The manufacturers even have algorithms to see which type of exercise schedule is best for you, from the analytics they pick up. There are other cool reasons too for having this type of gadget. In some, you can even browse the internet or control some of your smartphones features. A hard drive offers many solutions to the modern college student. For one, I use mine to store data in it like movies from friends or documents from my schoolmates. Some might say this is possible from a smartphone or the cloud. We do not agree with their reason in entirety. A pertinent reason is the cost implication. For example, you will find a smartphone with 64 gigabytes of storage cost about 1,000 dollars. On the other hand, a hard drive of 2 terabytes of storage costs about 200 dollars. Playing around with the figures, we can infer some conclusions. We find that, for 30 times the storage capacity, we pay five times less. Of course, a smartphone does much more, but you get the idea. For the modern college student, they are persistently shelled with learning material. They need to keep up with what their courses demand of them. This gives a sense of you snooze you lose. 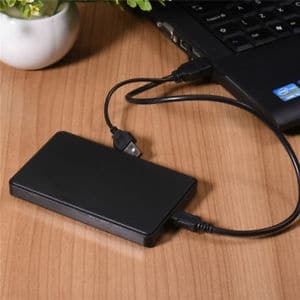 Furthermore, a hard drive gives the user an excellent place to back up their data. We would have all liked to store our data in the cloud. However, this solution is not always convenient, and it might cost more. A desk lamp gives a wholesome finish to the modern college student. Burning the midnight oil is one of the best ways to catch up on your classes. At this time, distractions are at a bare minimum. There is no better way to read than in natural lighting though. That is why modern desk lamps mimic the light from the sun. Furthermore, some are even adjustable in brightness, for you to get a better view. Alternatively, adjust the elevation of it all. You can adjust it to suit your taste and preferences. 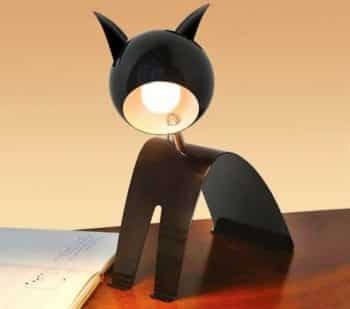 A desk lamp gives off an atmosphere of attention. The modern college student needs this when you consider all the distractions out there. You as a college student will get a head start. Your grades are going to improve significantly when you take the leap. So often, you will find yourself short of time and you have an assessment test in the morning, which you did not have ample time to revise. In the few hours under the desk lamp, you will soak in a lot of data to get ready for the next day. The modern desk lamp also has rechargeable batteries in them. Subsequently, do not fuss when lights go off. With all the technology around us, they need a lot of juice. Power banks provide backup energy, for when you need it. Picture yourself going through an intense study session and you are annotating notes straight to your smartphone. All of a sudden, the lights go out. In such a state, the user can be devastated when the smartphone is running out of power. Nevertheless, with a power bank, they can rest easy knowing that they have a way to push on. A power bank is an excellent addition to your collection of power-hungry gadgets. They work hand in hand ensuring you are always on or connected. Some of these power backups can even store four times the power your smartphone requires to fully charge. Furthermore, they are not heavy and consume very little space. Some power banks even have a fast charging feature. Some are so powerful that they charge laptops. Even though they cost more. The choice is really yours depending on what you can afford or like. Nonetheless, the baseline remains, it is better to have it than need it. With the entire tech around for the modern student, some things just cannot be thrown away into oblivion. We are talking about hard paper. There is just something to using paper that elicits a feeling of learning, the student needs. Reading a novel from an eBook cannot beat reading it on hard paper. Feeling the texture of the paper is an age-old, gratifying feeling that will not go away anytime soon. There is even research to show that people collect more knowledge, when they read from a hard paper, due to the smell of paper. Quite fascinating, isn’t it? Well, at the heart of it, you will need a printer. Surprisingly, a printer is not as expensive for small users. After all, you are a college student and not a book manufacturer. From our calculations, we found out that buying a printer for a student is much cheaper. We deduced this fact from accumulating the amount of money they are going to use in photocopying or printing stuff outside. 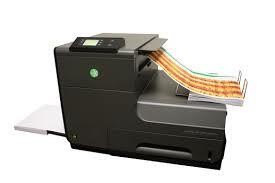 So much cheaper than you might end up spending a quarter of your budget for outside printing and photocopying. One of our favorite printers is the CISS printers. What this means is that they have a continuous ink supply system. As the acronym suggests, you do not have to buy toners and cartridges all the time. Most printer manufacturers get a profit from selling their toners and cartridges. Hence, with a CISS printer, your pockets will stay plump. The modern college student is like a cyborg ready to whip out something of importance from their bag. With the progression of technology, backpacks have evolved to suit the needs of the modern user. The bags we are talking about are not just ordinary ones. They have jam-packed technologies into them to make your life organized and much easier. There are backpacks that contain a battery. 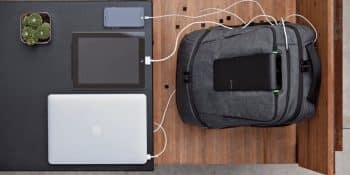 This means you can charge your smartphone right from the bag. It works sort of as a power bank. With all the gadgets you might have, it also comes with an anti-theft pouch. This makes it even harder for burglars to get your expensive devices. More importantly, the design is suited to fit everything in them. The hustle for knowing where to keep your gadgets and books is eased. The design is also modern, so it will not seem like you are just from some camping trip. In fact, they look trendy, and part of the whole system. For a complete college student, they need a smart bag, to put everything organized, as they navigate from place to place. College is a wonderful experience to go through in life. From shifting classes to catching up with friends, it can be chaotic at times. From all those books, you have to keep up with in your tutoring, to possibly the number of alcoholic beverages you will chug in your time there. You will still have to maintain a level of focus in everything you do. Tech has made the life for the college student frenzied, however, with the right practice; they can get the most out of their gadgets. Rather than always staying on social media or scouring the net for memes, they can also catch a thing or two in their escapades, to further their knowledge. 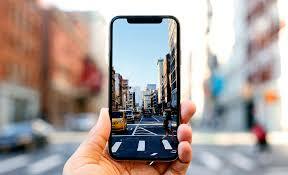 That is why we have scoured the internet, did some research here and there, to see what are the basic tech gadgets, a modern college student requires.